Jp. = Yakushi Nyorai, Chinese = Yàoshī Rúlái. 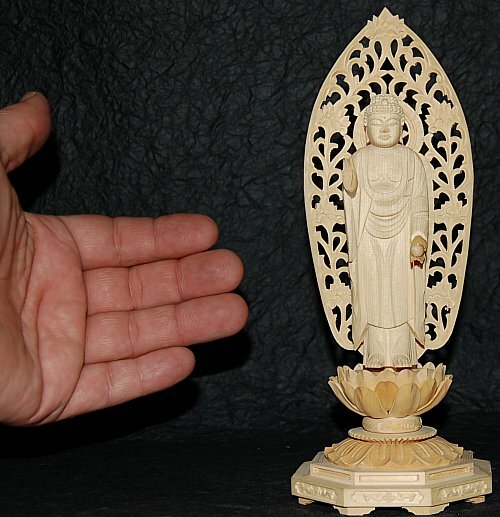 This delightful wood carving comes in five pegged pieces: (1) the halo; (2) pedestal; (3) statue of Yakushi; (4) two hands. 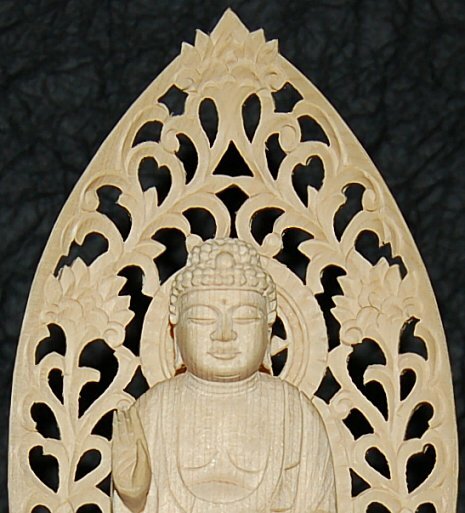 see Yakushi Top Page for details on iconography.